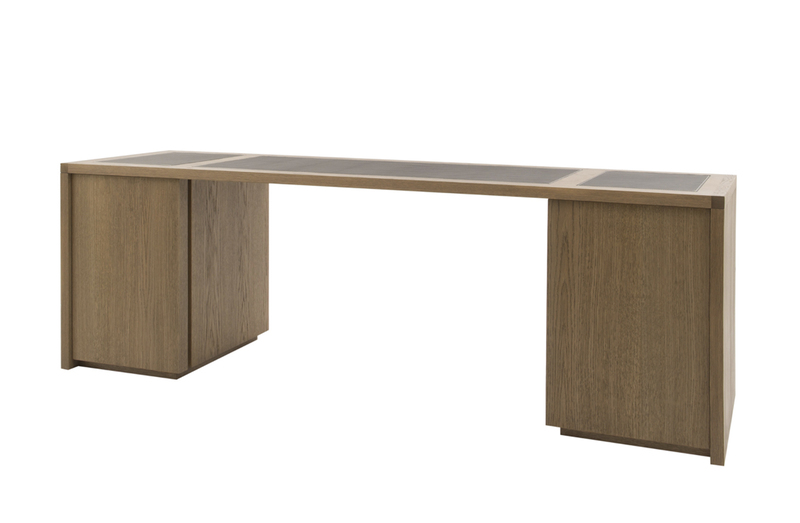 Desk with structure with stained oak, top details in leather. Available with single door option or with single door and hanging file pull out drawer. See ADDITIONAL SPECS for available oak finishes.